A ‘Jurisdiction clause’ is generally found towards the end of a contract, in the section that contains the ‘boilerplate' clauses. Although it may be easy to overlook this type of clause, it is in fact fundamentally important to the enforceability or otherwise of your contract. In the event of a dispute, the jurisdiction clause specifies where any litigation should occur. Although this may not be a problem if both parties are domiciled and/or carry on business in the same country, it is more difficult and costly to sue in a foreign court. There are different types of jurisdiction clauses. Some may require both parties to submit to the exclusive jurisdiction of a particular country, territory or state. Other such clauses may nominate a country, but also allow parties to sue in foreign countries. Submitting to exclusive jurisdiction may not be the best policy in the event that one or more of the parties has considerable assets in more than one country. 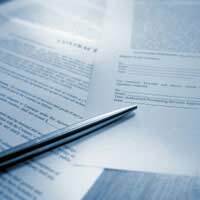 It is important to distinguish between the jurisdiction of a contract, and the choice of law of a contract. Although a contract may be governed by for example English Law, this may not necessarily be the jurisdiction that is nominated to hear any disputes that may arise. This is part of the Brussels Regime and came into force on 1st March 2002. It deals with jurisdiction of the courts in both civil and commercial litigation. Judgments given by courts in Member States (and as of July 2007, Denmark) are automatically recognized by other Member States without the requirement of any special proceedings to have the judgment accepted. The regulation is important in contracts because it fixes exclusive jurisdiction in some cases, which means that the jurisdiction clause in a contract has no effect. The basic principle in the EU is that the court with jurisdiction is the court in which the defendant is domiciled. However, there are exceptions: if the dispute relates to performance under a contract in a specific country, the correct court will be the place where the performance of the particular obligation was required to take place. Country that does not have a Treaty with the UK. It is this last category that is the most problematic in relation to enforcement of foreign judgments. Usually, to enforce such judgments, it is necessary to bring an action in the UK using the foreign judgment as evidence of the debt. Countries for which this is necessary include Russia, USA, China, Japan and countries in South America. I have a building works contract wih a person to build a house on her property. Unfortunatly she has passed away and the land was sold thru her estate. can I get compensation for this ? The obligation will usually transfer from the deceased person to their estate. If the deceased owed money to you and there was an agreement in writing, you may be able to claim via the executor on behalf of the estate. I have included a link to the Money Advice Service - 'dealing with the debts of someone who has died' link here, which may explain it through the probate side. I have a building works contract wih a person to build a house on her property . Unfortunatly she has passed away and the land was sold thru her estate. can I get compensation for this ?